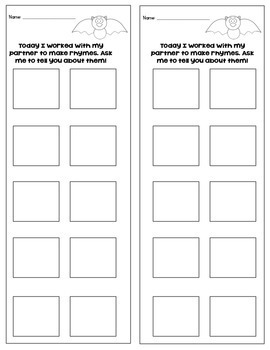 You are receiving an interactive partner game to help students hear rhyming words. 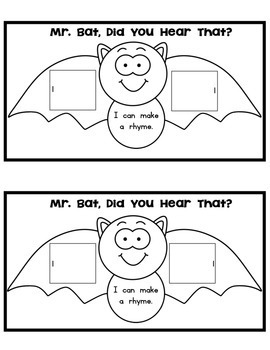 Students will work with a partner to flip the pictures on the bat's wings to make a rhyme! When they find/make one, students will record/draw on the page included. 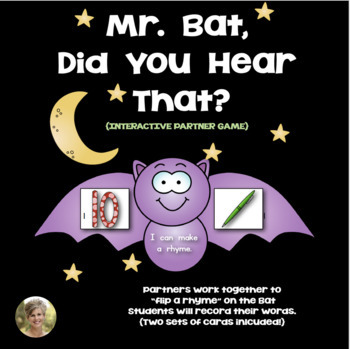 The bat game board can be use again (year to year) but the recording page can be taken home for students to share words that rhyme! 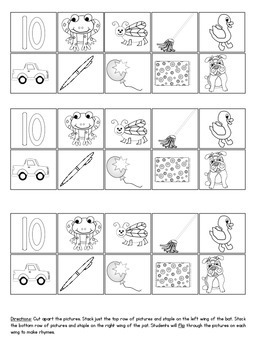 There are two different sets of pictures in this download, so you can introduce/play whole group and then make/place the second set in a center as a follow up to the lesson!